The word fibromyalgia comes from the Latin term for fibrous tissue (fibro) and the Greek ones for muscle (myo) and pain (algia). Fibromyalgia syndrome is chronic disorder which includes widespread muscle pain, fatigue, and multiple tender points that affects 3-6 million people in the United States. For reasons that are unclear, more than 90% of those who develop fibromyalgia are women. It is not currently known whether the predominance of women who suffer from fibromyalgia is a phenomenon of the socialization of women in the American culture or whether it is some combination of the female reproductive hormones and other genetic predispositions. Fibromyalgia is often confused with another condition called “myofascial pain syndrome” or “myofascitis.” Both fibromyalgia and myofascitis can cause pain in all four quadrants of the body and tend to have similar tender point locations, but the two conditions are worlds apart. Myofascitis is an inflammatory condition due to overuse or injury to your muscles, whereas fibromyalgia is caused by a stress-induced change in metabolism and healing. Myofascitis tend to come on rather suddenly and is usually associated with a particular activity or injury, true fibromyalgia has a slow, insidious onset, usually beginning in early adulthood. It is very important to diagnose each of these correctly, for they require very different approaches to treatment. Unfortunately, fibromyalgia is a chronic condition, meaning it lasts a long time - possibly a lifetime. However. it won't cause damage to your joints, muscles, or internal organs. The latest research indicates that fibromyalgia is a stress-related condition that is a cousin in Systemic Lupus Erythematosis (often referred to as simply ‘lupus’) and Chronic Fatigue Syndrome. In all three of these conditions, there is the same predominantly female distribution, chronic fatigue, sleep disturbances, irritable bowel, as well as many other similarities. You can think about these three conditions as lying on a continuum with Fibromyalgia on one end, Lupus on the other and Chronic Fatigue Syndrome in the middle. All three of these conditions are caused by an abnormal stress response in the body, but with Lupus, the immune system is primarily affected, causing an autoimmune reaction that attacks your healthy tissues. On the other end of the spectrum is fibromyalgia, where metabolic abnormalities are primary. These metabolic changes are the result of a stress-induced decrease in blood flow to an area of the brain called the pituitary. This, in turn causes a decrease in a number of important hormones, such as the growth hormone releasing hormone (somatotropin) and the thyroid stimulating hormone. These hormonal changes lead to abnormal muscle healing, borderline or full-blown hypothyroid, as well as memory and cognitive changes. One of the major physical abnormalities that occurs with fibromyalgia lies in the muscle itself, where there is a build up of a protein called “Ground Substance.” Ground substance is normally found in muscle, bone and connective tissue all over the body and is responsible for making the tissues stronger and less susceptible to tearing. In a normal person, when a muscle is injured, the muscle tissue itself is able to regenerate and over time, completely heal itself. In a person with fibromyalgia, the muscle is unable to completely heal itself. Instead, an abnormally large amount of ground substance builds up in the injured area. It is the ground substance, coupled with local muscle spasm it creates that creates the muscle ‘knots’ associated with fibromyalgia. The only option is to continually adjust the spine and keep it moving. It is not uncommon for those with fibromyalgia to be adjusted three to four times per month to keep everything mobile and relaxed. The biggest concern in treating people with fibromyalgia is that their muscles have a diminished healing ability. For this reason, chiropractic adjustments are usually modified slightly to be more gentle than normal. 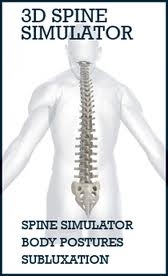 This helps to decrease the stress on all of the small supporting muscles of the spine, which can be easily injured. It is important when seeking chiropractic care, to make sure that the doctor is familiar with the muscular changes that occur with fibromyalgia and treat them accordingly. The overwhelming characteristic of fibromyalgia is long-standing, body-wide pain with defined tender points, and frequently, trigger points. Trigger points are often confused with “tender points.” They are not the same. A trigger point needs firm pressure to elicit pain, while tender points are painful with even very light pressure. Trigger points will refer pain to other areas of the body, whereas tender points will not. Unlike tender points, trigger points can occur in isolation and represent a source of radiating pain, even in the absence of direct pressure. As discussed earlier, trigger points are purely comprised of spasmed muscle fibers, whereas tender points are knots filled with ground substance. Those with fibromyalgia almost always have a combination of the two – trigger points and tender points – and can improve dramatically with light trigger point therapy. —Getting enough sleep and the right kind of sleep can help ease the pain and fatigue of fibromyalgia, but is something that can be hard to get. Many people with fibromyalgia have problems such as pain, restless legs syndrome and brain-wave irregularities that interfere with restful sleep. Insomnia is very common. Although alcohol may help you to relax, it is not recommended before bed as it has been shown to interfere with restful sleep. Some of those with fibromyalgia have found 5-hydroxy tryptophan (5-HTP) very helpful, as well as the prescription anti-depressant amitriptyline. Typically, we don't recommend taking prescription drugs, but in this case, it is difficult to heal without enough sleep. Melatonin is another substance used to help regulate sleep patterns. — Improved fitness through exercise is recommended. Studies have shown that fibromyalgia symptoms can be relieved by aerobic exercise. Though pain and fatigue may make exercise and daily activities difficult, it's crucial to be as physically active as possible. The best way to begin a fitness program is to start with low impact exercises, like walking and swimming. Starting slowly helps stretch and mobilize tight, sore muscles. High-impact aerobics and weight lifting could cause increased discomfort, so pay attention to your body. The more you can exercise, the better off you will be. —Most people with fibromyalgia are able to continue working, but they may have to make big changes to do so. It may be necessary to reduce the number of hours at work, find a job that will allow you to have a flexible schedule, or switch to a less physically demanding job. Many people with fibromyalgia require specially designed office chairs, adjustable desks or other adaptations in order to continue working. If you face obstacles at work, such as an uncomfortable desk chair that leaves your back aching or difficulty lifting heavy boxes or files, your employer may make adaptations that will enable you to keep your job. —Foods, just like anything else, have the ability to either stress your body or to help your body heal. Foods that tend to be stressful on the body include: dairy, eggs, wheat, corn, as well as anything with monosodium glutamate (MSG), nitrates or nitrites (as are found in processed foods). Several environmental toxins may also contribute to the overall physical stress on your body, therefore fish should be avoided as well. It is important that you eat as much clean, organically grown fresh foods as possible. Base your diet around whole foods such as: brown rice, legumes, oats, spelt, rice milk, soy, hormone-free chicken or turkey, roots, nuts and berries. —There are many nutritional supplements that help with fibromyalgia. Malic Acid has shown promising results. Also Magnesium. Dr. Peck will guide you on what works and whats doesn't work. Currently the FDA does not monitor supplements. Therefore, who can you trust? Dr. Peck has extensive training in clinical nutrition and only uses trusted supplement companies like Biotics Research supplements.